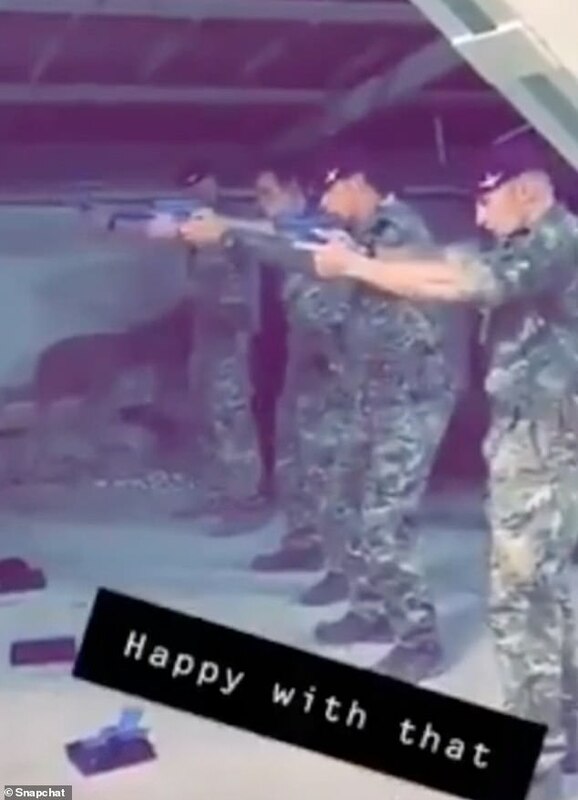 Military officials have slammed four British paratroopers after they used a picture of Jeremy Corbyn for target practice in a 'totally unacceptable' video shared on Snapchat. 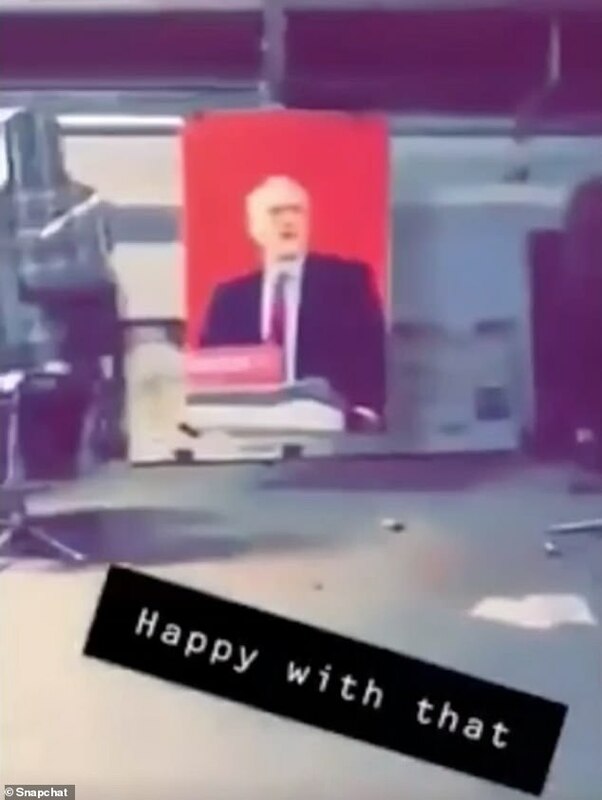 The troops, of the 3rd Battalion Parachute Regiment based at Merville Barracks in Essex, were seen peppering a large image of the Labour leader with hard wax rounds at a shooting range in Kabul, Afghanistan. Politicians and the public condemned the footage online and the Ministry of Defence said it had launched an investigation, adding their behaviour fell 'well below the high standards the Army expects'. Meanwhile Labour described the video as 'alarming' and called for urgent action to be taken. It is understood the paratroopers involved have been spoken to and will soon return to the UK as their tour is coming to an end. Some Twitter users claimed the video was fake, but it has been verified by military officials. The target appears to show the party leader speaking at a podium with the Labour logo in front of him. A link to the footage was shared on Twitter by former soldier and Military Cross recipient Trevor Coult, who also wrote 'Not looking good for a Labour leader' alongside a laughing emoji on his post. The link has since been taken down and the footage appears to have been deleted. The range is designed for and used by personnel to practise what is called the 'guardian angel drill' - a force protection tactic. Several politicians reacted with fury this morning as the video emerged. Shadow defence secretary Nia Griffith slammed the video on Twitter, describing it as 'shocking and completely unacceptable'. 'Right that the Army is carrying out a full investigation,' she added. Former soldier and Tory MP, Johnny Mercer, tweeted that 'every organisation has good people who make serious misjudgements'. Labour MP, Dan Jarvis, who is also a former Paratrooper, said the incident is 'shameful and utterly unacceptable'. 'This goes against the values and standards of the British Army. I welcome the Ministry of Defence investigation into this video and trust it will be resolved quickly,' he added. Shadow education secretary, Angela Rayner, also criticised the video branding it as 'absolutely disgraceful'. She added: 'I hope the investigation will be conducted thoroughly and the conclusions made public. Labour MP Lucy Powell said she is 'absolutely shocked', and that the behaviour of the personnel is a 'total disgrace and utterly unacceptable'. Labour MP Stella Creasy added the 'awful' video 'damages the well deserved professional standing' of the Army. She tweeted: 'Not going to promote the awful video of soldiers doing target practice with a picture of Jeremy Corbyn but it's appalling - completely unacceptable and frightening to threaten violence to any politician. Some online have claimed the unknown troops - whose faces can be seen in the footage - belong to the Parachute Regiment. Many on social media slammed the footage particularly in the wake of the murder of Labour MP Jo Cox by far-right killer Thomas Mair in 2016. Another social media user described it as 'extremely fascist behaviour'. Zach Martin posted: 'Almost certain this is illegal but even if it isn't against the law for uniformed military personnel to threaten death [on] a Member of Parliament, it's undeniably f****** terrifying. An Army spokesperson said: 'We are aware of a video circulating on social media, this behaviour is totally unacceptable and falls well below the high standards the Army expects. A spokesman for the Parachute Regiment declined to comment.